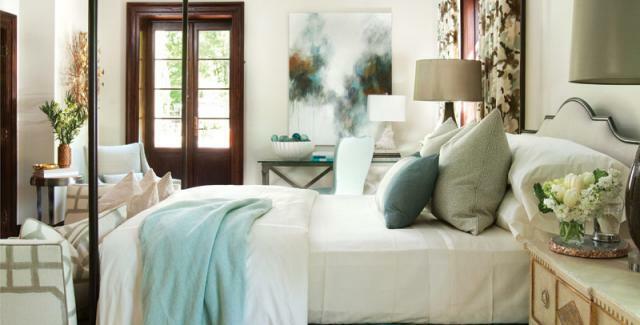 I’m a firm believer in updating your home with dreamy abstract landscapes as they are like adding a window to your room. We are blessed in Atlanta to have such fabulous talent. Here are a few of my favorites! I love Ritva Porter’s work so much that I own two of her paintings which I purchased at Gregg Irby Fine Art. Notice the additional “window” her work creates in this room. With the relatively neutral foundation of the room, her work becomes the focal point and provides the basis for pops of color throughout. Kathryn Trotter is another artist to consider. Her landscapes are muted, serene and open up a room. 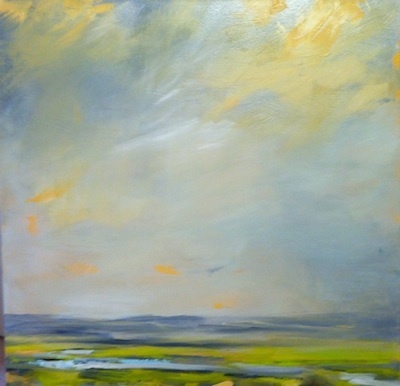 Another of my favorite artists, Dixie Purvis creates these wonderful abstract landscapes that remind me of the marshes on the Georgia Coast. I have one of her works in my small foyer and I love seeing people immediately drawn into it as they enter my house for the first time. I will never tire of it! Gregg Irby Fine Art carries her work. Melissa Payne Baker is another Atlanta favorite artist and although her abstract paintings may not technically be landscapes they have the same effect. They are beautiful. I love her piece in this room above. It draws you in and beyond as a window would. Abstract art looks best unframed so your only cost is the painting. It is an instant update that complements contemporary and traditional styles. Why not refresh your art collection so that you can love your house now and make selling it easy later!